Sight is one of the most important, but also the most overloaded sense. 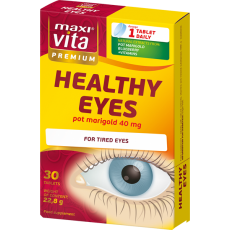 You should help it with suitable food supplements with active ingredients for your eyes. Sight is one of the most important senses for us, but despite this we overload it on a daily basis. There are many factors which can have a negative influence on our sight, such as improper lighting, stress, smoking or polluted environment. To help our sight, we can use various vitamins and minerals, which we should add to our daily diet. 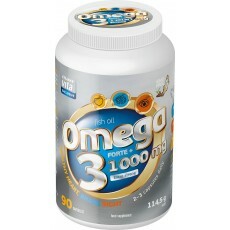 But the missing substances can be added to our body also by using food supplements. 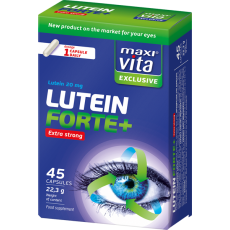 A positive effect on the functioning of the eyes can have for example a regular intake of carotenoids – lutein and zeaxanthin. 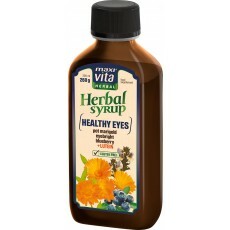 Another beneficial substance for healthy sight is blueberry extract or zinc, which contributes to the maintenance of the correct state of sight and normal cognitive functions. 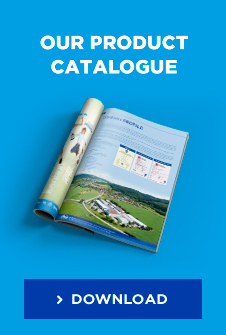 All these substances can be found in our food supplements suitable for your sight.